Canada is recognized as the world’s largest and highest quality producer of Icewine. Known for sweetness and complexity of flavours, this wine is prized by tourists from the US, Europe and Asia. Canada is one of the world's premier producers of icewines. The number one question asked of this website is "where can I buy icewine?" Just how good is Canadian Icewine? Recently, Royal DeMaria Chardonnay Icewine was sold for $30,000 and that was for a half-litre. Due to the lower yield of grapes and the difficulty of processing, Icewines are more expensive than table wines. The high sugar levels lead to a slower than normal fermentation. They are often sold in half-bottles(375 ml). The average price is $45.00 - $60.00 per bottle. Pillitteri Estates, Inniskillin, Pelee Island, Peller Estates, Reif Estate Winery, Henry of Pelham and Magnotta Winery these are the top producing icewine makers on a gobal scale as of May 2018. Located on the Niagara Peninsula, Inniskillin co-founders Donald Ziraldo and Karl Kaiser played a major role in making Icewine synonymous with Canada. 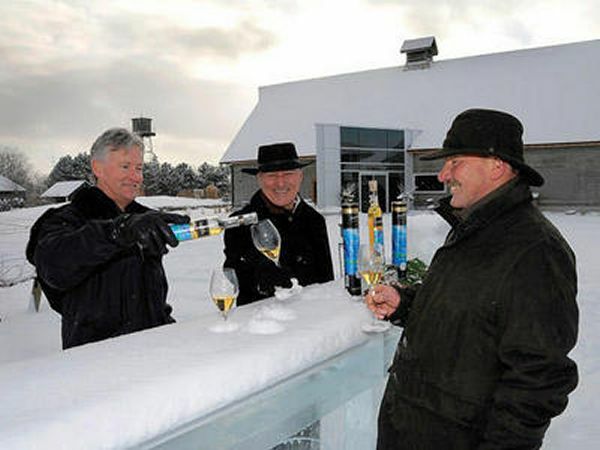 The winery began producing icewine in 1983. In 1991, they won one of the world's most distinguished wine awards: Le Grand Prix d'Honneur Vinexpo, Bordeaux for their 1987 Icewine. “The immense mouth feel and sensation when savouring them makes them a heavenly memory. It is our soil and climate that allows us to seduce the world with this wine.” Karl Kaiser, Winemaker. 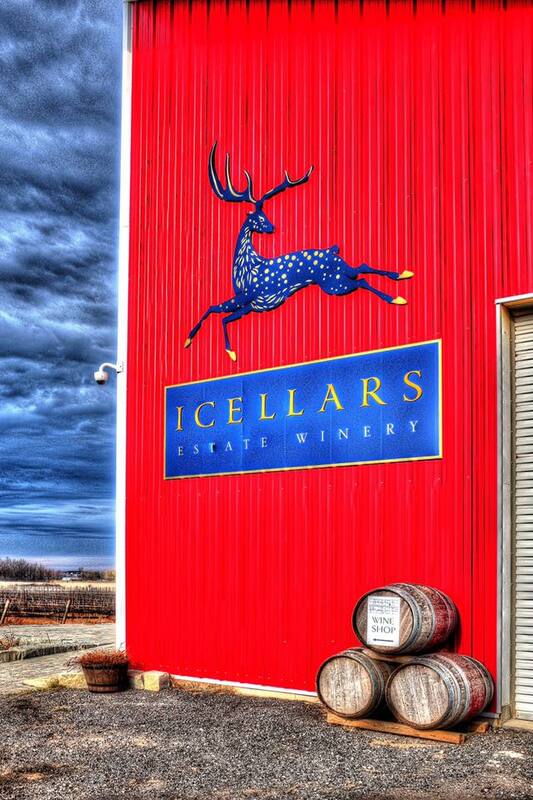 Also located on the Niagara Peninsula of Ontario, winemaker Klaus Reif began working with Icewine in the early 1980's. Noted wine critic Robert M. Parker rated their 1987 icewine among the best wines he had ever tasted. 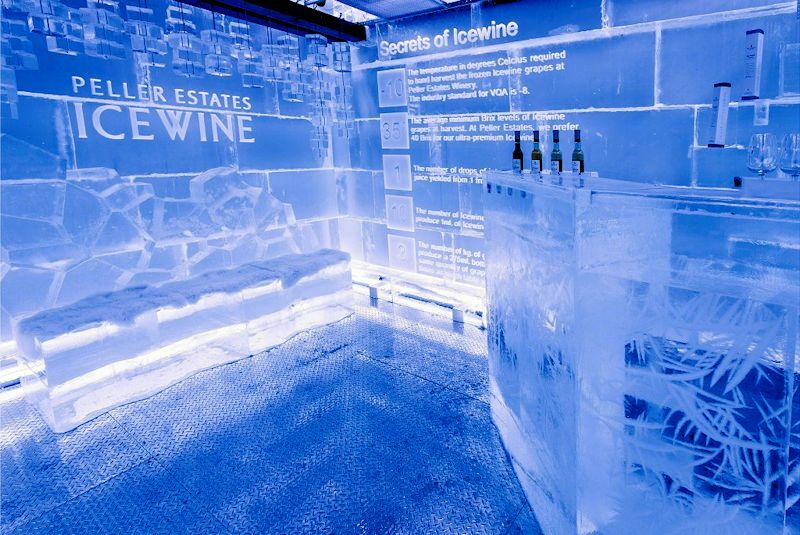 The demand for icewines surged and the winery went from producing 1,300 liters to 20,000 in 1998. Reif's Vidal icewine is produced from a 27-year-old vineyard block set aside and netted annually for icewine harvesting. Among their numerous awards is: Challenge International du Vin Competition, 2001 Gold Medal - 1999 Vidal Icewine VQA, Olympiads du Vin Competition. This elite competition is open to only the gold medal winners at the Challenge International du Vin. currently stands at 600,000 litres. The winery has been honoured with close to 400 medals at both domestic and international competitions. These include the coveted Civart Trophy from the Challenge International du Vin in Bordeaux, France, and a rare Double Gold Medal from the American Wine Society in the United States. Their flagship wine -Icewine. Pillitteri Estates Winery is Canada's largest estate producer of Icewine, using the Vidal, Riesling and Gewürztraminer varieties to produce Icewine that is exported to more than twelve countries worldwide. Part of the Andrés group of wineries, the Peller estates is located just outside of Niagara-on-the-Lake. Their wines have captured numerous gold medals in competitions around the world. Their 2004 vintage was sensational. In British Columbia, they produce Trinity Icewine Vidal Blanc (62%), Riesling (27%) and Ehrenfelser (11%). Icewine is a rare gift from a magical Canadian winter. Picked at the coldest moment of a winter's night, each frozen grape creates just one drop of Icewine. One smooth rich, luxurious drop. Located on Pelee Island of Lake Erie, Peller Estates is one of Canada's first Icewine producers and were the first to net their vines for Icewine. They made Canada's first red Icewine from Lemberger. Their 2004 Vidal Icewine won Gold at every major competition. Although the winery is new (2010) the name is not Donal Ziraldo is co founder of Inniskillin wines. He has returned to produce Reisling Icewine in Niagara on the lake. His current vineyard is the Originl site of Inniskillin. Located in British Columbia's Okanagan Valley, this organic winery claims to be Canada's most visited. 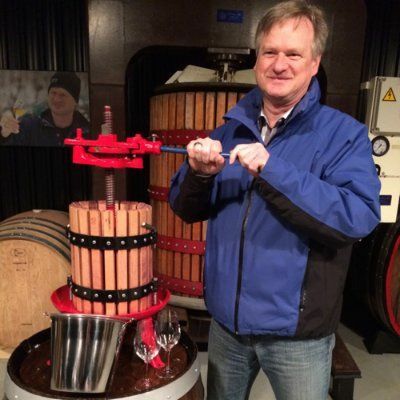 Stephen Cipes began making Riesling Icewine in 1992. At one time, his Pinot Noir Icewine was Canada's most expensive. This winery's Zweigelt Icewine has an even higher price. For more on SummerHill, In 2017 Summerhill Pyramid Winery’s 2014 Chardonnay Icewine came in first place, out of 700 bottles of wine, at the Chardonnay du Monde competition. Did you know? Riesling and Vidal are the two most common varietals used in making icewine. Others include Cab Franc, Gewürztraminer, Merlot, Pinot Gris, Chardonnay, Muscat Ottonel, Kerner, and Gamay. Nk'Mip Qwam Qwmt Riesling Icewine 2012 . The wine begins with honeyed aromas of lemon and lime. It delivers flavours of key lime pie and ripe apricots, with an exquisite balance of acidity and natural sugar. The purity of the fruit is exemplary. This is very, very fine. 100. Icewine in Canada is produced entirely from grapes, naturally frozen on the vine, picked while the air temperature is -8°C or lower and immediately pressed after picking in a continuous process. The most common grape used for icewine is Vidal; however, numerous other grape varieties are increasingly being used. Icewine first appeared on the Canadian market in 1978, resulting in the first commercial release by Hainle Vineyards from the Okanagan. Inniskillin’s 1984 vintage won gold at the 1986 Intervin International Competition, and in 1991, Inniskillin put Canada on the wine map with their 1989 Icewine, capturing the illustrious Grand Prix d’Honneur at Bordeaux’s VinExpo. China is the number one export market for Canada, with over $6.5 million of Icewine (157,879 litres) exported in 2016. The top 10 Icewine export markets in 2016 were China, the United States, South Korea, the United Kingdom, Hong Kong, Singapore, Japan, Taiwan, the United Arab Emirates and Germany, representing 97.9% of Icewine export sales volume. For detailed Icewine export statistics, click here. United States, Canada, Mexico, Germany, France, UK, Russia, Italy, China, Japan, Korea, India, Southeast Asia, Brazil, Argentina, Colombia, Saudi Arabia, UAE, Egypt, Nigeria, South Africa.